1.For other New Testament references to being “born again” or “born of God,” see 1 Peter 1:23; 1 John 3:9–10; 1 John 4:7; 1 John 5:1, 4. 2.For a general treatment of this topic, see Ed J. Pinegar, “Born of God,” Encyclopedia of Mormonism, ed. Daniel H. Ludlow (New York, NY: Macmillan, 1992), 1:218–219. 3.For further analysis of Alma’s conversion, see Book of Mormon Central, “Why Was Alma Converted? 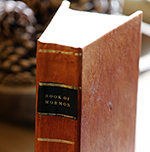 (Alma 36:21),” KnoWhy 144 (July 15, 2016); S. Kent Brown, “Alma’s Conversion: Reminiscences in His Sermons,” in Alma, The Testimony of the Word, Book of Mormon Symposium Series, Volume 6, ed. Monte S. Nyman and Charles D. Tate Jr. (Provo, UT: Religious Studies Center, Brigham Young University, 1992), 141–156; reprinted in S. Kent Brown, From Jerusalem to Zarahemla: Literary and Historical Studies of the Book of Mormon (Provo, UT: Religious Studies Center, Brigham Young University, 1998), 113–127; John W. Welch, “Three Accounts of Alma’s Conversion,” in Reexploring the Book of Mormon: A Decade of New Research, ed. John W. Welch (Salt Lake City and Provo, UT: Deseret Book and FARMS, 1992), 150–153; John W. Welch and J. Gregory Welch, Charting the Book of Mormon: Visual Aids for Personal Study and Teaching (Provo, UT: FARMS, 199), charts 106–107; Jerome M. Perkins, “Alma the Younger: A Disciple’s Quest to Become,” in Living the Book of Mormon: Abiding by Its Precepts, ed. Gaye Strathearn and Charles Swift (Provo, UT: Religious Studies Center, Brigham Young University, 2007), 151–162. 4.See Book of Mormon Central, “Why Did King Benjamin Say That His People Would be Sons and Daughters at God’s Right Hand? (Mosiah 5:7),” KnoWhy 307 (May 1, 2017); Matthew L. Bowen, “Becoming Sons and Daughters at God’s Right Hand: King Benjamin’s Rhetorical Wordplay on His Own Name,” Journal of the Book of Mormon and Other Restoration Scripture 21, no. 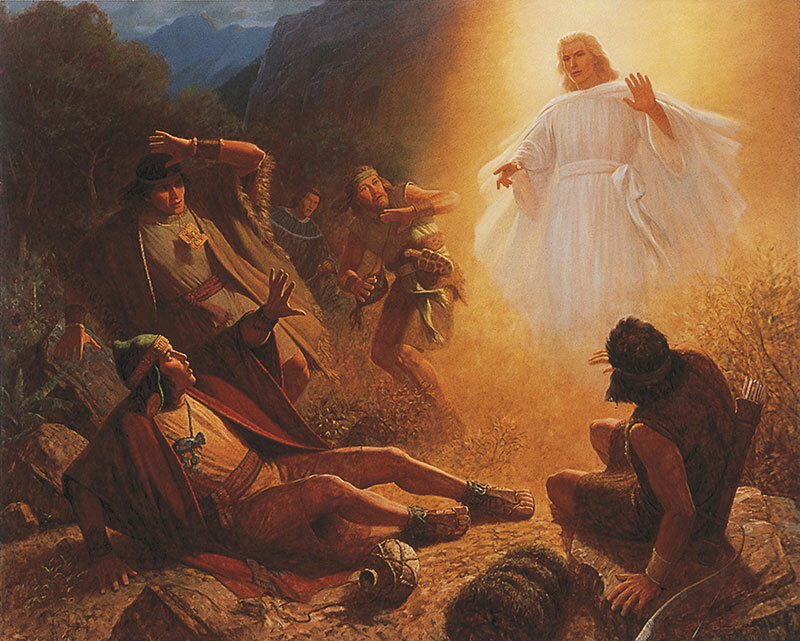 2 (2012): 2–13; Robert L. Millet, “The Ministry of the Father and the Son,” in The Book of Mormon: The Keystone Scripture, ed. Paul R. Cheesman, S. Kent Brown, and Charles D. Tate, Jr. (Provo, UT: Religious Studies Center, Brigham Young University, 1988), 57–60. 5.See Book of Mormon Central, “Why Did Alma Ask Church Members Fifty Probing Questions? (Alma 5:14–15),” KnoWhy 112 (June 1, 2016). 6.Conversely, those who remain in their sins and never undergo spiritual rebirth are the “the children of the kingdom of the devil” (Alma 5:25; cf. Mosiah 5:10). 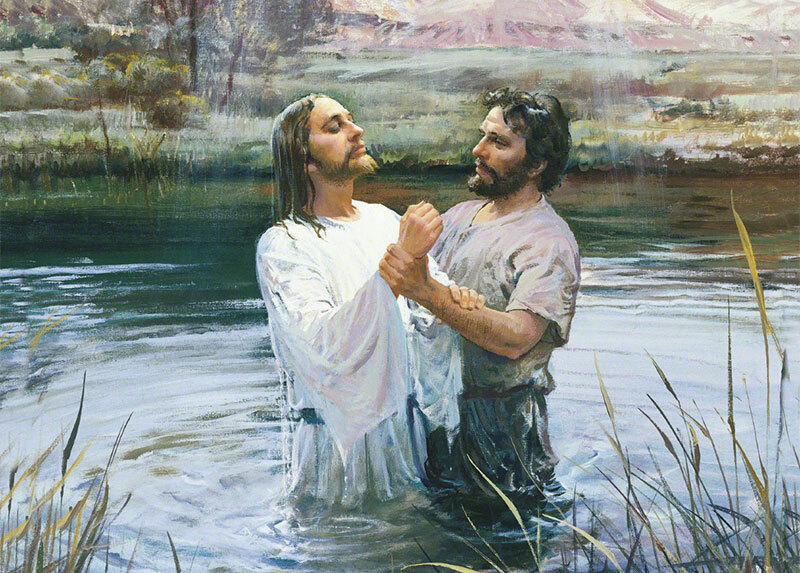 9.Brent L. Top has described baptism as the “Gateway to Spiritual Rebirth.” Brent L. Top, “Spiritual Rebirth: Have Ye Been Born of God?” in The Book of Mormon and the Message of The Four Gospels, ed. Ray L. Huntington and Terry B. Ball (Provo, UT: Religious Studies Center, Brigham Young University, 2001), 202. 11.See S. Michael Wilcox, “Spiritual Rebirth,” in Mosiah, Salvation Only Through Christ, Book of Mormon Symposium Series, Volume 5, ed. Monte S. Nyman and Charles D. Tate, Jr. (Provo, UT: Religious Studies Center, Brigham Young University, 1991), 251. 12.See 3 Nephi 28:38; Doctrine and Covenants 76:70. 13.In a passage which explains this duality in all of God’s creations, the Lord declared “as the words have gone forth out of my mouth even so shall they be fulfilled, that the first shall be last, and that the last shall be first in all things whatsoever I have created by the word of my power, which is the power of my Spirit” (Doctrine and Covenants 29:30). 14.See Noel B. Reynolds, “Understanding Christian Baptism through the Book of Mormon,” BYU Studies Quarterly51, no. 2 (2012): 3–37. 15.See Joseph Fielding McConkie and Robert L. Millet, Doctrinal Commentary on the Book of Mormon, Volume Two: Jacob through Mosiah (Salt Lake City, UT: Bookcraft, 1988), 174. 16.See also, Doctrine and Covenants 20:32). 17.Bruce R. McConkie, “Be Ye Converted,” address given at the BYU First Stake Quarterly Conference (11 Feb 1968), as cited in Larry E. Dahl, “The Doctrine of Christ: 2 Nephi 31–32,” in Second Nephi, The Doctrinal Structure, Book of Mormon Symposium Series, Volume 3, ed. Monte S. Nyman and Charles D. Tate, Jr. (Provo, UT: Religious Studies Center, Brigham Young University, 1989), 367. 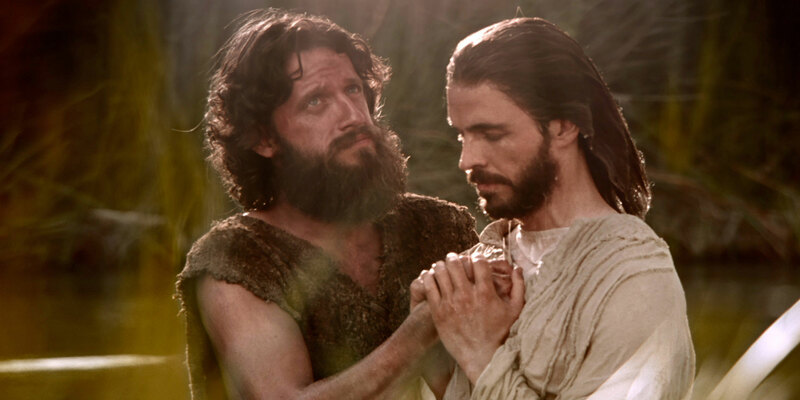 18.For instance, Book of Mormon prophets repeatedly recognized that becoming inwardly “alive in Christ” held greater value than merely complying with outward performances and ordinances (see 2 Nephi 25:25; cf. Mosiah 13:27–32).